Casa Sport, traditionally one of the biggest teams in Senegal, had a poor season, finishing the Senegal Ligue 1 2013 at sixth place with 44 points of 30 matches. 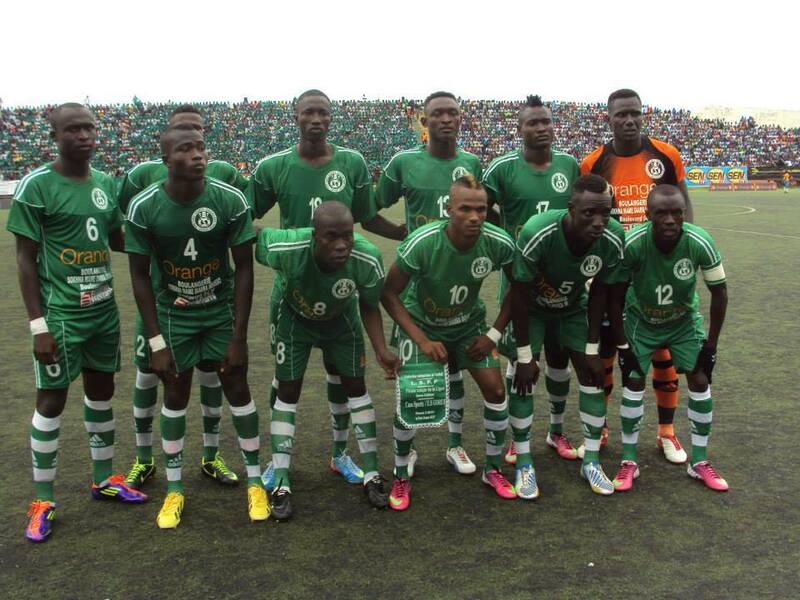 Nevertheless, Casa Sport has some of the biggest talents in the Senegalese league. Ibrahima Dramé, the lanky striker who just turned 18, has already signed a professional contract with Norwegian side SK Brann. Dramé scored three goals in 14 matches during the season. In this post, you will find a presentation of some of the most interesting players at the club. The picture was found on the Facebook-page of Casa Sport. * Ismaïla Diarra Badji is the older brother of Stéphane Diarra Badji of Norwegian club SK Brann. Like his brother, Ismaïla is a strongman who covers a lot of ground and a great ball-winner. * If striker Karim Ben Badji is able to improve his scoring rate, he could have a bright future in Senegalese football. * The 20-year old Youssouph Coly is highly regarded at Casa Sport and at the Senegal U-20 national football team. * Centre-back Abdoulaye Diallo has a bit of a “bad boy-image” in Senegal due to his tough tackles and immense power. Nevertheless, Diallo is widely considered as one of the best defenders in Senegal. This summer, Diallo, also known as “Laye Diallo”, participated in trials at AC Sparta Prague (Czech Republic). * Saloum Faal is a full international player for the Gambia national football team. The talented youngster is a skilful and enterprising player. * Despite scoring only four goals, Lamine Fanné became top scorer at Casa Sport this season. * Veteran goalkeeper Maguette Gningue is a full international player for the Senegal national football team and first choice at Casa Sport. * Mamanding Kidiera is the captain of Casa Sports and a player I think deserves a chance in a bigger league. When playing as a defensive midfielder, the petit Kidiera is dictating the play of the game with his excellent passing skills and ball-winning ability. When playing at right-back, Kidiera is attacking minded and hard-working. Kidiera is also playing for the Senegal B national football team. * Energetic midfielder Pierre Benoit Aubia Manga played regularly during the first part of the season. * Dominique Mendy, a skilful playmaker who is effective playing behind the attackers or as a right-winger. Mendy has been playing for the Senegal U-20 national football team and is one of the hottest prospects at the club. * Hard-working midfielder Ismaïla Niang has a great physical presence and his experience is valuable for the many young midfielders at the club. * Siaka Sané has been a talent for quite some time but the tricky winger struggles to get playing time at Casa Sport. Sané has featured for the Senegal U-23 and the Senegal U-20 national football team. * Faustin Senghor, the 19 year old midfielder, has been one of the revelations of the season. Earlier this month, Senghor was part of the Senegal U-20 national football team during the 2013 Jeux de la Francophonie. * Mame Saër Thioune is an experienced centre-back and the younger brother of Makhtar Thioune of Viking FK (Norway). Thioune has featured for the Senegal B and the Senegal U-20 national football team. Thioune can also play in other defensive roles. * Pape Amadou Touré is the regular left-back at Casa Sport. Touré has featured for the Senegal B and the Senegal U-20 national football team.